← Can you list more than 27 jobs in 3 minutes? What Rory McIlroy and Serena Williams have in common? It seems that there are not many commonalities between Serena and Rory apart from the fact that both of them are top professional athletes. However, if we dig deeper, we will find out that their journey to success had similar ingredients. They both started the sport they excel at a very early age. 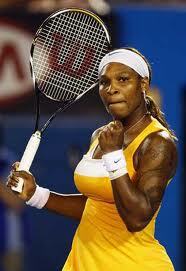 Serena started playing tennis at the age of 5. 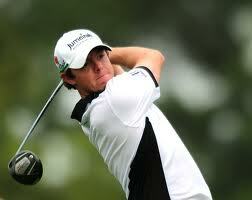 Rory was introduced to golf at the age of 18 months!! They had a clear objective. They both wanted to be the #1 player in their respective sport. They had a plan how to achieve their objective and they worked hard to make it happen. They underwent countless hours of training and they played many tournaments. Nothing was left to chance. They also had a coach to help them become aware of their strengths and the areas they needed to develop. In the case of Serena, her father has been her coach. Whereas, Rory started his early training with Michael Bannon, who is his current coach and mentor. If you ask any successful person in sports, arts, or business, he/she will tell you a more or less similar story. You may want to learn from them. Have a clear objective of what you want to achieve. Make a plan and work hard to make it happen. Get a mentor who can guide you and advise you. One word of caution though. Andre Agassi did all the above and had an impressive performance as a tennis player. However, as he later revealed in his autobiography, he had always hated tennis. So make sure you find an area you are passionate about. Being successful and happy is a great combination to aim for! This entry was posted in Before I apply, Career Advice and tagged Andre Agassi, before I apply, career options, get a mentor, Rory McIlroy, Serena Williams, successful career. Bookmark the permalink.